With all this wonderful sunshine, now’s the perfect time to add a little pizazz to your backyard! At Everett Custom Homes, we include fully-landscaped front and backyards, along with low-flow irrigation at all of our homes to give you the perfect canvas to add your personal touch. We just love creative landscaping designs and can’t get enough of these vertical gardens! If you’re low on space or just want to add a unique focal point to your yard, the vertical garden is a chic and easy way to add some pizazz. You can create one as simple as bunching up wall planters to create a lush wall or as elaborate as constructing vertical garden privacy screens….the possibilities are endless! 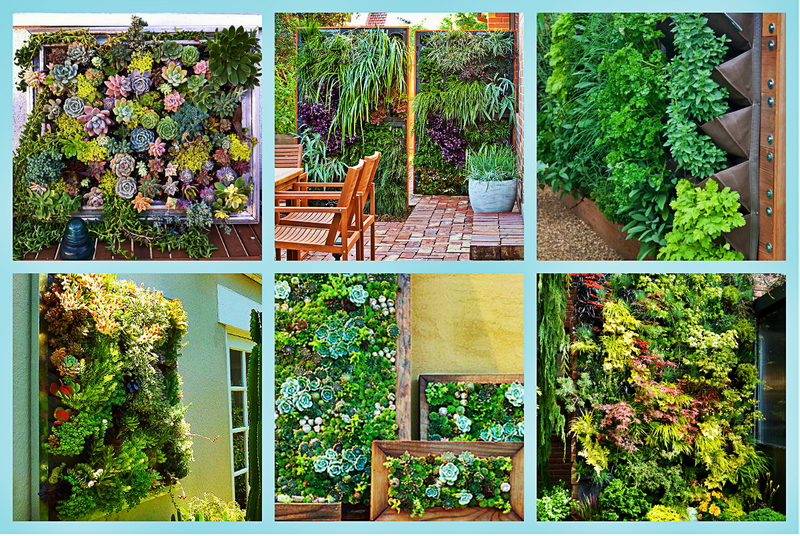 These are some vertical gardens that caught our eye! For step-by-step instructions on how to build a vertical garden, below are some helpful websites via Pinterest, sure to be a show-stopper at your next gathering. Vertical Framed Succulent Garden – Take old picture frames to design framed succulent gardens. DIY Vertical Garden – Don’t have an old frame? Build your own wall frame and hang on a wall or fence for added backyard drama. Living Privacy Screen – Instead of the usual lattice, put in a vertical garden that doubles as a privacy screen. Get creative….you’ll be surprised at how easy it is to have a green thumb! Get out there and start planting! Want to share your latest green thumb creation? Everett loves to see your creativity at work, so tag us in social media: @everetthomesnw or use the hashtag #everettcustomhomes.